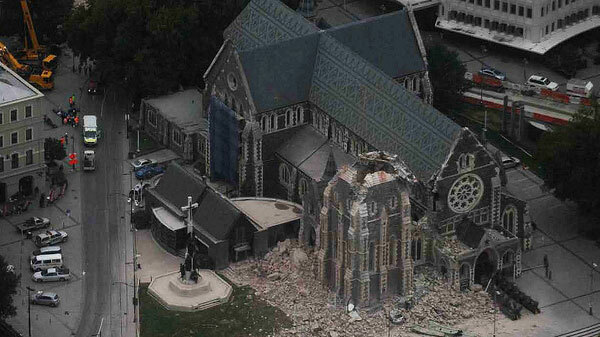 Marie Szamborski in New Zealand outlines the situation in Christchurch in the aftermath of the earthquake that has struck the country. This list of information is meant to update those outside of New Zealand as to what has been going on since the earthquake hit Canterbury at 12.50 yesterday, 22 February, New Zealand time. I will say that I do not have first-hand knowledge from any one source but that I realise the ongoing news coverage may give us, here in New Zealand, more detailed information before it hits the internet or news reports in other countries. Therefore I hope this information can help someone out there who is looking for details. To clarify for those who do not know the geography of New Zealand, the earthquake occurred in the South Island. Canterbury is the name of the wider area, akin to a county in some other countries. The epicenter was in a small town/ area of Christchurch known as Lyttleton which is just a few kilometers southeast of the city. The September earthquake was centred at Darfield, which is west of the city. Auckland, Wellington, Rotorua and Hamilton are located in the North Island which were not affected, so if you know anyone in those areas, there is no need to worry. There have been many aftershocks since the main event yesterday including half a dozen or so over 5 on the richter scale and some over 6. This is making already unstable buildings in the CBD (Central business district) very dangerous and the city has been cordoned off. Those outside of the city are being asked to stay at home and not try to come into the city even if they are missing someone there. Those at home are also being asked to check on their neighbours and band together for support. All schools and business are closed although if someone feels their business could add something to the effort, they can open if they see fit. This would be things such as a Dairy (corner shop) which could provide needed supplies. It is a category 3 disaster and will remain on that level for 5 days before reassessment. Although it was not unexpected that there would be a large aftershock from the September 2010 earthquake, the timing and location of this earthquake could not have been worse. The epicenter was near Lyttleton at a shallow depth of 5 kilometres. It happened at a time when the CBD was full of businesspeople, tourists, students and people having lunch in the restaurants and cafes. Many structures were already weakened from the first earthquake in September and the trend of aftershocks that have been happening since then. 6 schools will be used for water distribution but there is a worry that there will not be enough water to go round for very long. All efforts are currently focused on rescue of the living. There are 6 major sites of collapse that have been identified although it is believed that there will be many more smaller sites. 55 people have been confirmed dead and just over 20 unidentified. Around 300 people are reported as missing. It is possible that some are OK, but communications are difficult and so simply may not be able to get in touch. The airport was closed until a few hours ago and now is very busy with flights of people wanting to exit the city. Special fares have been offered to those directly affected. Fares seem to be $50 domestic and possibly some international flights at $400. Survivors have remarked on how well organized and helpful everyone has been. The Red cross and the Salvation Army are running shelters and there have been individuals who have arrived on the scene with random offerings such as a man cooking sausages who came up from Dunedin. New Zealand search and rescue people have arrived very quickly on the scene and Australian teams have arrived in the past couple of hours. Offers have also come in from The U.K., the U.S., Japan and Taiwan. There was a large group of Australians in Christchurch for a urology conference and all participants are OK and either in local shelters or have been airlifted to Wellington. There was a Canadian couple who miraculously escaped from Christchurch Cathedral. There was also another report of a group of foreigners who were airlifted to Wellington. 0800 REDCROSS (0800 733 276). For those outside of the country, you can ring +64 7 850 2199. The Prime Minister and financial experts have noted that the cost of this earthquake will run into the billions in a country that has already been trying to keep its head above water in the economic downturn. Many people will be homeless and rescue efforts also come at a cost. Any donations received would be greatly appreciated. Donations can be sent via internet banking. Pike River Disaster Relief Trust chairman and Greymouth mayor Tony Kokshoorn has stated that they are no longer receiving donations and would encourage people to instead send donations to the Canterbury Earthquake Appeals. If anyone has other questions, please ask in the comments or send me a tweet on @Shantiwallah and I will try to find out as much as possible. The best source of information is the Twitter hashtag #eqnz.